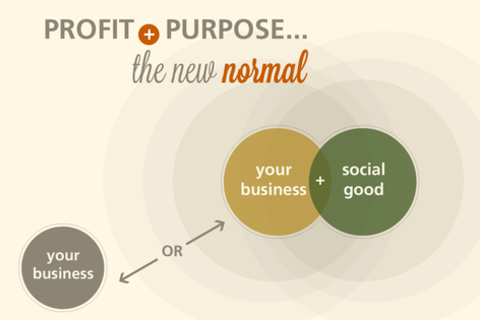 Profit + Purpose. The New Normal. This panel will bring together Hearst Digital's Executive Director of Social Media, Ross Geisel; host of Lifetime television's The Conversation, Amanda de Cadanet; Co-Founder HelloGiggles, Sophia Rossi; and mulu.me president and founder Amaryllis Fox who will discuss digital trends in cause-conscious shopping, the influence of the power of personal recommendation and creating innovative ways to power profit through purpose. Having co-founded HelloGiggles, the popular internet haven for girls of all ages, Sophia Rossi brings her unique eye for entertainment as well as years of experience in media and business development to the website's creative vision. Working alongside partners Zooey Deschanel and Molly McAleer, Rossi also serves as the head of the company's advertising and content sectors, working closely with a small team to ensure premium content which loyal readers of HelloGiggles have come to expect as well as creating an all-inclusive interactive community with the site's audience via web chats and reader contributions. Serving as producer for such reality series as MTV's 'The Hills' and 'The City', Rossi has also consulted for over 50 shows on both cable and broadcast networks and continues to pursue new opportunities for entrepreneurial start-ups on television, the internet and beyond. Rossi, born and raised in Los Angeles, bases much of her own personal and professional vision on popular internet culture and is particularly fond of 'tween blogs and young artists. With her unique grasp on a wide variety of topics, she continues to build the brand of HelloGiggles and ensure the project's success in a typically oversaturated market. Amanda de Cadenet is a renowned fashion and portrait photographer, television producer and host. She began her career at the age of sixteen as the fearless host of two of the UK's most successful television shows. She became one of that nation's best known personalities, lauded for her natural talent and ease in front of the camera. Her passion for storytelling took her behind the camera more than a decade ago when Amanda made the transition to the respected photographer she is today. In that role, she is the youngest woman to shoot a Vogue magazine cover, has photographed many of the most influential figures in popular culture as well as publishing her photography book RARE BIRDS. She is best known for her intimate portraits of women, capturing their true and unique selves. Using that same sensibility and philosophy, Amanda returned to television in Spring 2012 with a prime time interview series she created and produced with Demi Moore for Lifetime Television called THE CONVERSATION with AMANDA DE CADENET. Amaryllis is the founder and ceo of mulu, a commerce platform empowering content creators to capture the income from their product recommendations and put it to work for themselves or their favorite cause. Amaryllis cut her teeth running around SE Asia for the BBC, getting chucked in Burmese prisons and working with Xanana Gusmao following East Timor’s independence from Indonesia in 2002. She has a BA from Oxford University, where she spent too much time drinking Pimms and watching the boat races, and an MA from the School of Foreign Service at Georgetown, after which she did seven years of counterterrorism work overseas. Ross Geisel is currently the Director of Audience Development and Social Media for Hearst Digital, which includes 24 websites reaching nearly 60 million unique visitors per month. Since joining Hearst Digital in July of 2009, unique visitors have grown 150% and facebook fans and twitter followers have grown over 350%. Before joining Hearst Digital he spent six years at the U.S. Fund for UNICEF helping the organization to fundraise online. Ross holds a B.A. in Political Science from Union College (NY) and an MBA in Accounting and Finance from Fordham University.